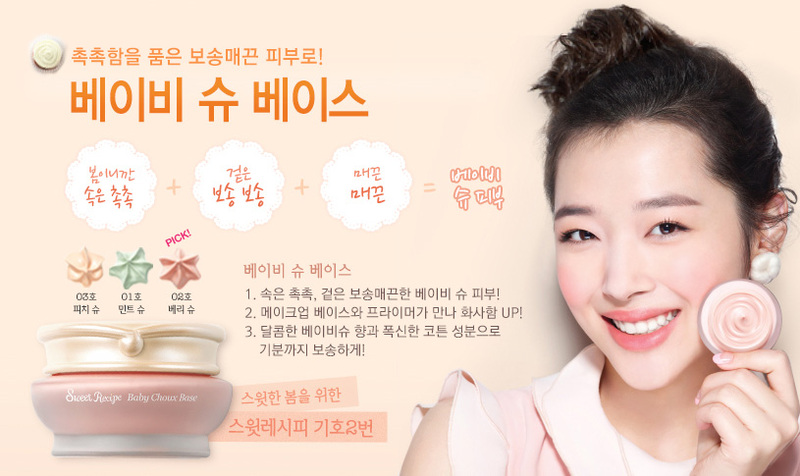 Omg Etude House is too fast with all the new releases! I'm still loving the Etoinette series and already here's a new collection with the introduction of new faces for the brand, Sulli & Krystal of f(x)! and the continuation of their lipstalk line, Dear My Jelly Lipstalk! Some products look really familiar, like how Cupcake Eyes is an existing product but with a different name and different shades. The Baby Choux Base looks like one of their peach base from their pioneer line as well (you would have remembered if you were an Etude fan from then, as it was a really popular product), with a better formula hopefully. Items I'm eyeing on are the Cupcake All Over Colour (I love cream colours! And this peach is so pretty) and Choco Chip Cookie Pact! I hope the chocolatey products would smell like chocolate or something >.< Hehehe looking forward to doing a review soon! Can't wait for them to be released!